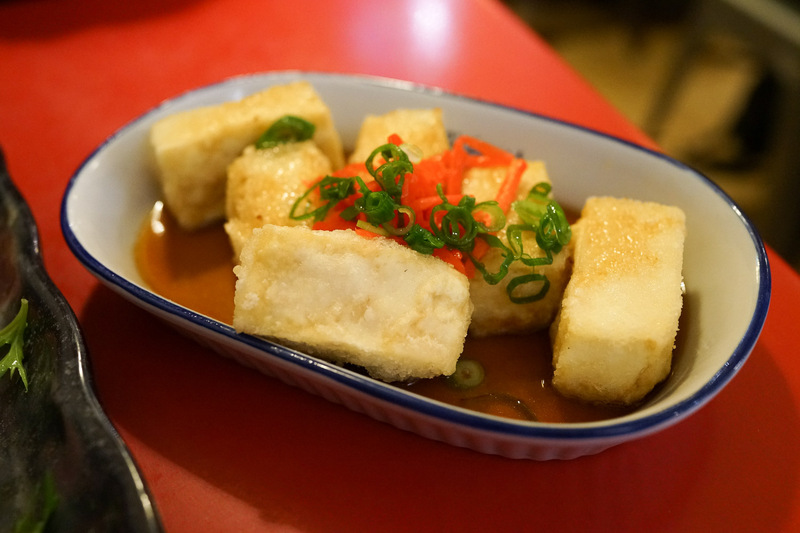 Don Don - the perfect pre-gig feed buddy to the Oxford Arts Factory. If we haven't been posting as much lately it's because we've been on a mission of revisiting old favourites, appreciating them while we can. And we've been taking great pleasure in eating without taking photos - it's nice not to be THAT dickhead with a camera once in a while. Of the many joints we've revisited we felt the need to give Don Don a shout-out. 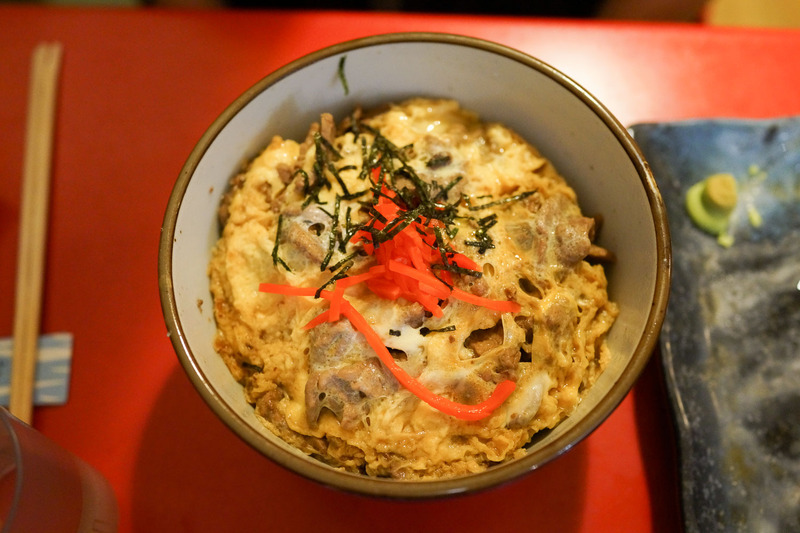 This buzzy little Japanese eatery has been packed with bright young things for decades. We don't know how old Don Don is, but one of our readers recalls being a regular here in the 1990s. In all that time the joint has never lost it's Japanese-ness - the quality of the food and service remains top notch after all this time. Don Don is a bit extra special. Don Don specialises in rice bowl dishes, but there's some good sharing small entrees. A neat serve of salmon sashimi, is enough to share. The agedashi tofu ($6.50) had just enough of a crisp shell and was served super hot. We love the simple dashi/soy broth at the bottom of the plate. Oyako Don - $10.50. 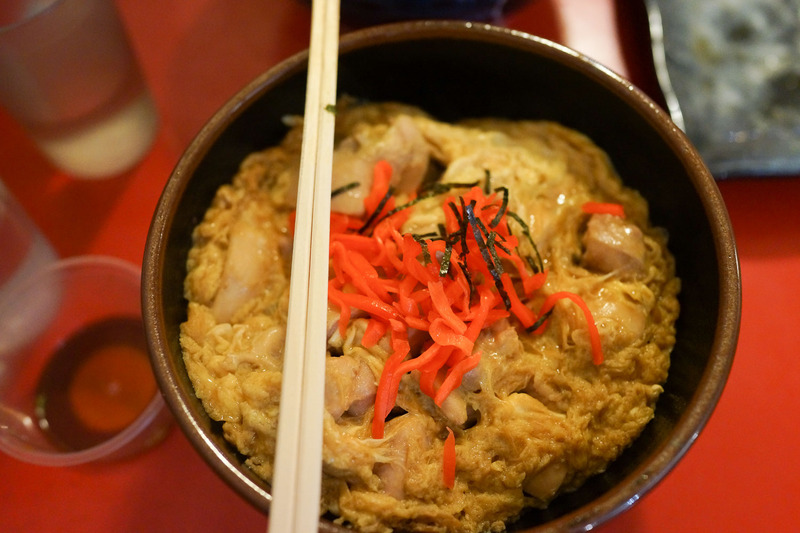 The classic braised chicken and egg on top of rice. So simple. So good. We cook this one at home now and again, following Frances the Dog's recipe of course. Tanin Don - $10.50. 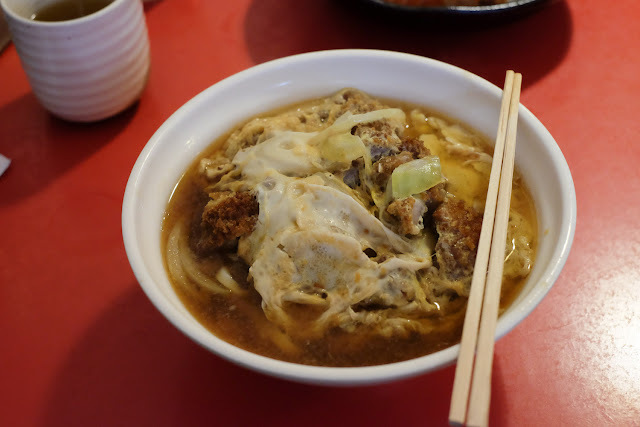 The same googie-egg goodness of oyakodon but with beef instead of chicken. 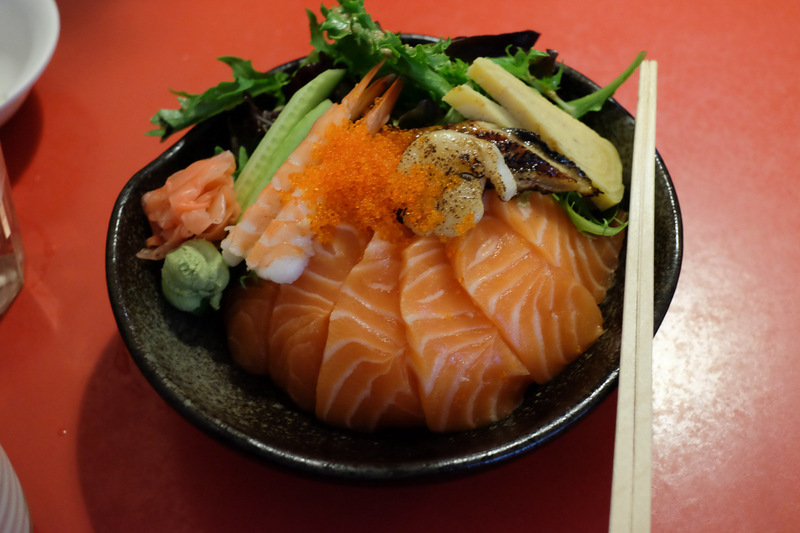 Chirashi sushi don - $14.50. 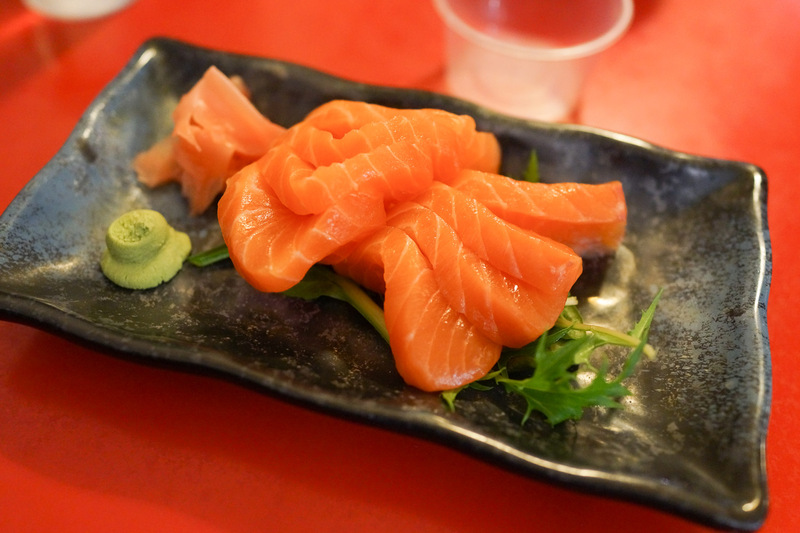 Sashimi on top of sushi rice, another favourite of ours. Pork katsu udon - $10.50. Deep fried pork in noodle soup, a big feed to discourage us from downing too many beers at the gig. It's become a tradition of ours to visit Don Don before a gig at the Oxford Arts Factory, which is just a few doors up Oxford Street. The food is as light or filling as your drinking strategy requires. And there's a fair chance that whatever band you are seeing will be having some pre-gig chow there. 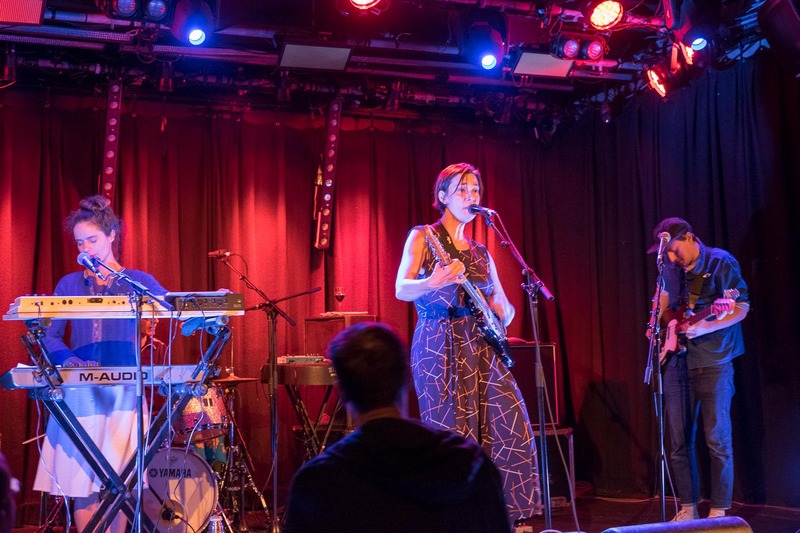 On our last visit to Don Don we plonked ourselves down to find Shawn's penultimate musical hero, Laetitia Sadier dining at the next table. Every fibre in Shawn's body wanted him to kneel and worship - we are not worthy! we are not worthy! - he just melted into the furniture instead. The gig in Sydney was better than the one we travelled all the way to Paris to see earlier in the year. 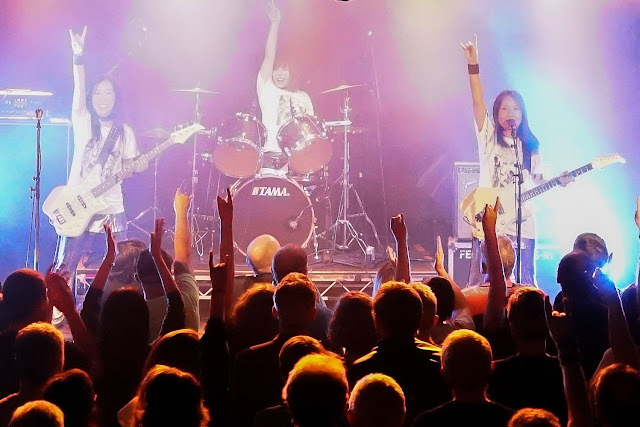 Our other recent-ish Arts Factory Gig was Shonen Knife, feeding two aspects of our Japan obsession in one night. Shonen Knife play garage-y kinda rock and are kicking extra arse with Risa, the smiliest power drummer we've ever seen. Random culture note: "oyako" is "parent and child", as in chicken and egg. The beef and egg "tanin", on the other hand, means "stranger"!